Da Couch Tomato: The Secret Circle. 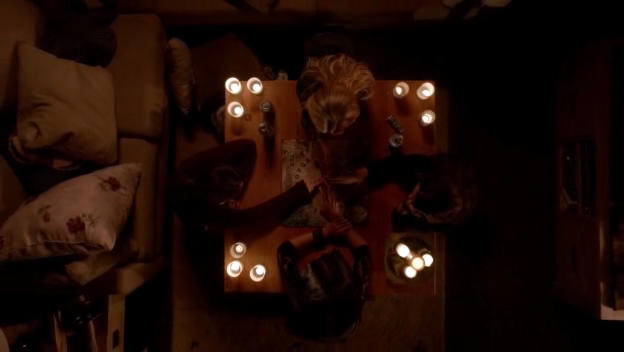 Episode 14: "Valentine"
The Secret Circle. Episode 14: "Valentine"
Have a witch slumber party, but need a Ouija board to contact spirits. Use one entire episode to show and explain how powerful the medallion is only for Cassie to crush it only with one hand. Have a good-looking-when-he-smiles guy only to have him always brood. Introduce a possbily fatal drug only to disregard Melissa and not bring her to the E.R. when she almost overdosed. Have a witch hunter who also turns out to be a witch. This show has been a lot of things—mostly ironic, really—except coherent. But if we're going to go with it: Lee has a secret motive, Melissa would probably still have a drug problem, the love triangles were and will be tense as to be expected, and there was an early wee bit of a sexual tease. New Girl. Episode 14: "Bully"
The Secret Circle. Episode 15: "Return"
New Girl. Episode 13: "Valentine's Day"
New Girl. Episode 12: "The Landlord"
The Secret Circle. Episode 13: "Medallion"
New Girl. Episode 11: "Jess and Julia"